Since the launch of Sony Xperia Z, Sony is constantly bringing ultimate gadgets around the globe. What's new with this tablet anyways? 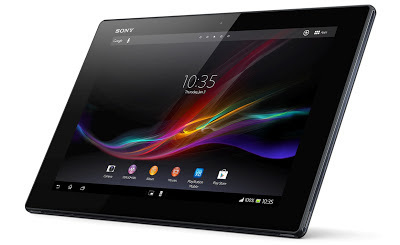 Sony Xperia Tablet Z is considered the slimmest tablet in the world as of this time, having 6.9mm body with 10inch display and the cool thing is, it retains most of the specs of Sony Xperia Z, a new born gadget to be released this July and August 2013. Nowadays we always consider the weight of PC tablet, the lighter the better the more portable it will be just like Sony Xperia Tablet Z that weigh only 495g.